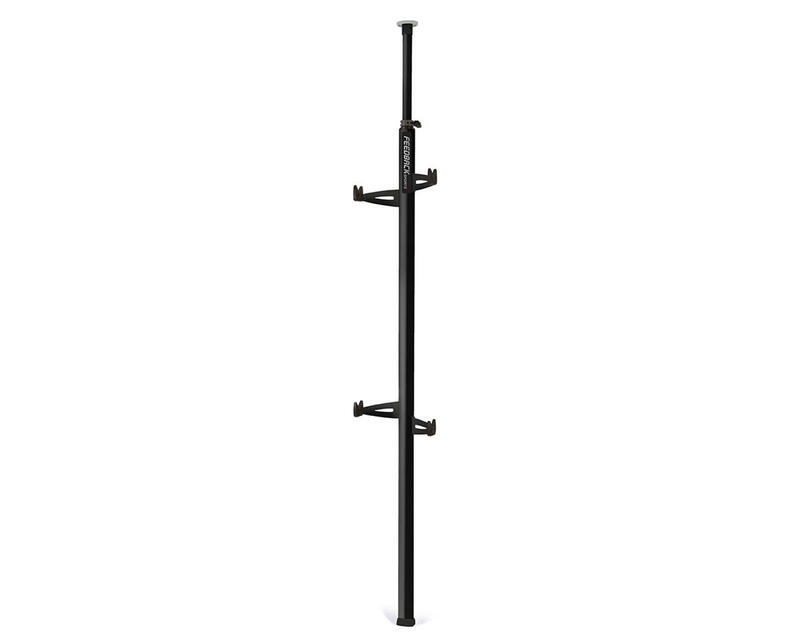 The Feedback Sports Velo Column will de-clutter your garage or shop with it's floor to ceiling storage solution. Easy to install without drilling any holes. 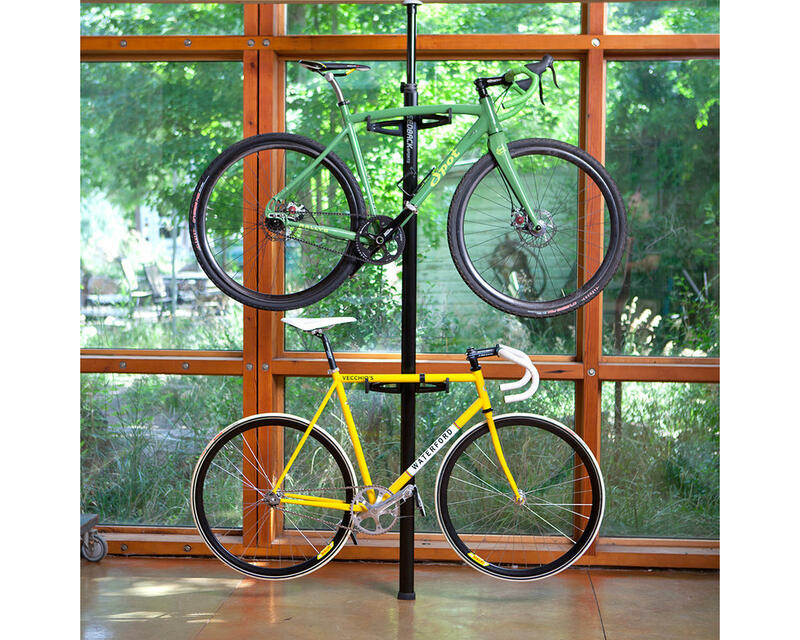 Soft rubber arms cradles bikes safely and show-cases your beauties.